It routinely tops surveys of the worst songs of all time and has become the textbook example of soulless, mindless pop music. But “We Built This City” by Starship has sold millions of copies, generated millions of views online, and garnered hefty royalties for over three decades. Writer Rob Tannenbaum wades through the surprisingly complicated history of this insidiously catchy tune in a new article for GQ. It turns out that “We Built This City” took a long, winding road to pop infamy. Tannenbaum’s oral history includes quotes from musicians, producers, songwriters, and critics. Opinions definitely vary, and some people have flip-flopped on ”We Built This City” over the decades. To truly understand this seemingly nonsensical, inane song, one must travel back to the 1980s. That was a weird time in the music business, especially for industry veterans who had survived the 1960s and ’70s. Starship, a band that rose from the ashes of Jefferson Starship, which in turn had evolved from Jefferson Airplane, was in a rut and looking for a hit single. The members of the band bickered a lot back then and had no shared vision of what the group should be doing. 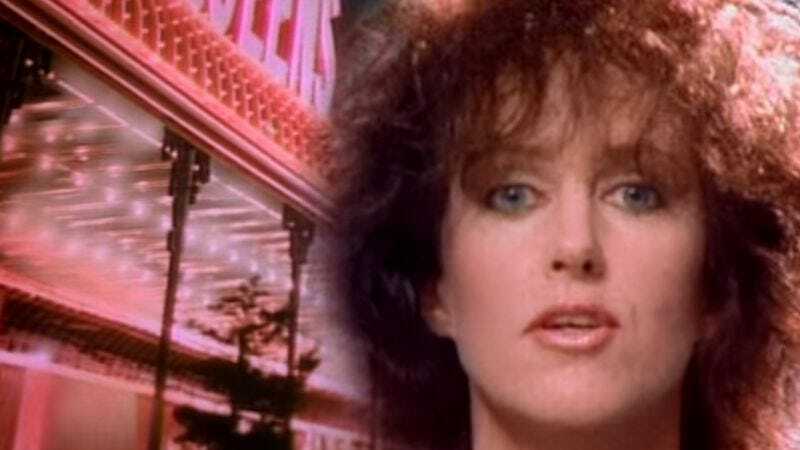 Lead singer Grace Slick was approaching middle age and, in the tradition of classic heist movies, simply wanted to make one last big score before retiring. Songwriter Bernie Taupin, meanwhile, was trying to establish a career away from his usual writing partner, Elton John. Taupin saw how the Los Angeles live music scene was dying, and he tried to capture that in a song. His unfinished demo wound up in the possession of Austrian producer Peter Wolf (not the J. Geils Band dude), who added that infamous chorus and gave the song to Starship. A supremely cheesy music video, in which a statue of Abraham Lincoln comes to life and starts lip syncing to the song, made the song an inescapable MTV hit.